Before your gutters completely fail, they’ll start to sag. Here are some reasons why that happens. One of the best ways to protect your home from water damage this fall is to install new gutters. After all, your old gutters can start to wear out and you might not notice anything wrong until it is already too late. Before your gutters completely fail, they’ll start to sag. Here are some reasons why that happens. It’s entirely possible that your gutters weren’t installed correctly. This is the biggest contributor to any problems that come after installation. 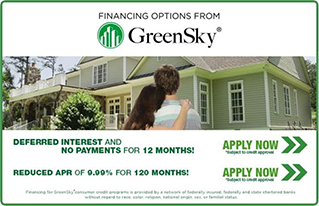 This means that your gutters will start to sag too soon, among other issues. Relying on gutter professionals such as the professionals at Topper Construction ensures that you get the best service and the best materials, along with top-notch installation techniques. When it comes to gutter installation, you need to be sure that the right screws and brackets are used to avoid any problems such as sagging. The gutters also need to be the right size for your home, or else they might start warping. Another reason your gutters are sagging is that they are slowly warping. The weather is unpredictable all year, even when you look at a forecast. The changes in temperature from hot to cold, especially when the weather is unseasonably warm, will accelerate the warping process. Let’s say your gutters are made of aluminum. They need to be treated with a special solution that can resist the effects of rusting and corrosion caused by wind and rain. This, in turn, helps prevent warping and the gutters themselves breaking down. Rotting can affect of your home’s exterior – the window frames, the siding, roofing materials, fences, and so on. When your gutters start to rot, their structural integrity is much less than it should be, and they are more prone to cracking and leaking. You also need to keep an eye on the fascia, because the fascia helps keep the gutters in place. If the fascias start to clog and overflow, your gutters will be severely damaged. When your gutters start rotting or warping, it could be due to a clog somewhere in the system. Gutters redirect the rainwater that falls in your roof away from the rest of your home. They’re not meant to hold onto large amounts of moisture or any leaves that become soaked. Icicles that start to form as winter approaches can also contribute to clogging gutters. 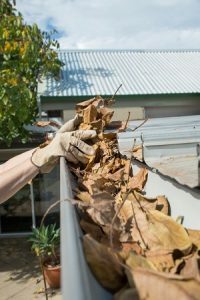 You might need to use gutter guards to prevent troublesome clogs from forming, but in any case, it’s important to clean out your gutters as often as possible, especially while the seasons are changing. This entry was posted on Wednesday, November 7th, 2018	at 9:32 am	and is filed under Gutters . You can follow any responses to this entry through the RSS 2.0 feed. Both comments and pings are currently closed.